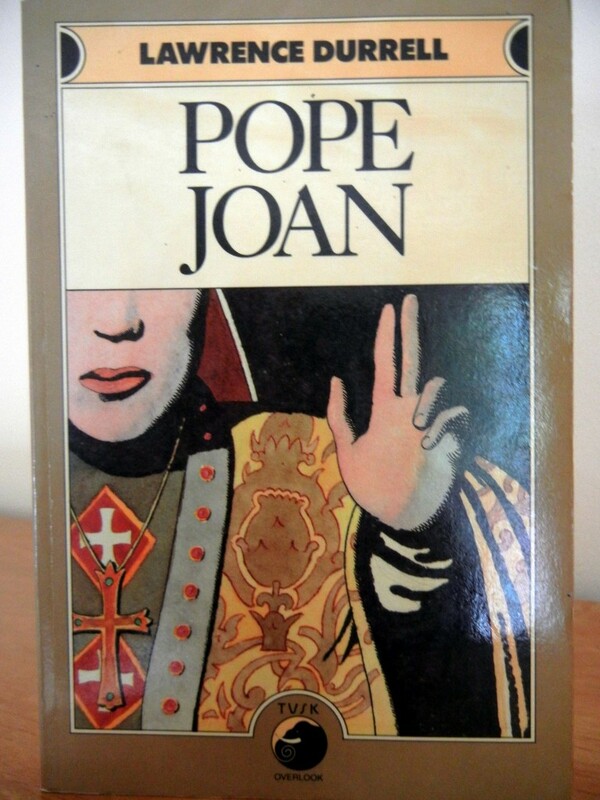 I recently purchased Pope Joan by Lawrence Durrell. I don’t know if it’s a gem because I haven’t read it yet. It was a surprise to see this on the bookstore shelf, though, because I had no idea that Durrell had written about this mythical (?) pope, a figure I knew from Donna Woolfolk Cross’s engrossing, 2009 novel. As it happens, this is Durrell’s 1966 TRANSLATION (surprise!) of an 1886 work by Greek author Emmanuel Royidis and, because it is “full of good fun, bad taste, and laughter and irreverence” probably nothing like Cross’s sober and realistic imagining of Joan’s story. This entry was posted in Books and tagged bookcovers, Books. Bookmark the permalink.